My daughter, Miss M, has always loved pumpkin desserts. 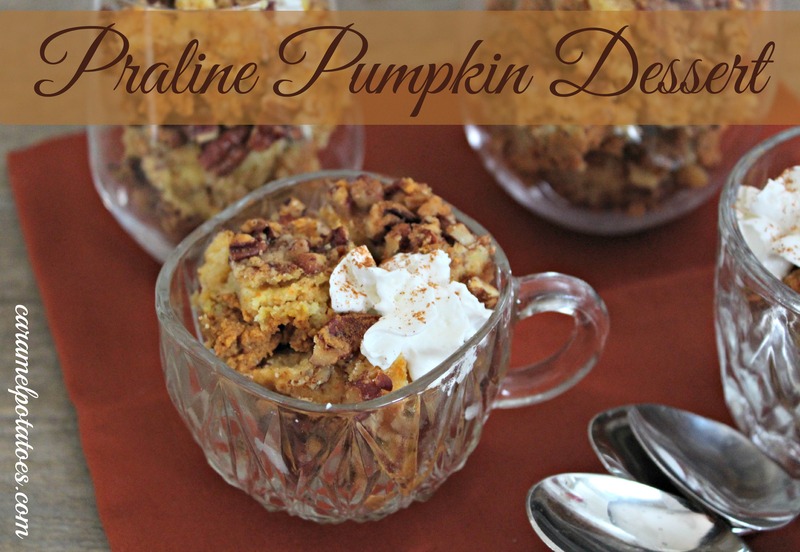 This Praline Pumpkin Dessert is so simple to make and can even be done ahead of time. And chances are you may have all the ingredients in your pantry right now. Preheat oven to 350. Grease a 9×13 pan with cooking spray. In a medium bowl, beat pumpkin, evaporated milk, eggs, sugar and 4 teaspoons pumpkin pie spice with wire whisk until smooth. Pour into prepared pan. Sprinkle dry cake mix over pumpkin mixture. Sprinkle chopped pecans over the top. Pour melted butter evenly over top of dessert. Bake 50-60 minutes or until knife inserted in center comes out clean. Cool slightly. To serve, spoon dessert into serving dishes or cut into squares. 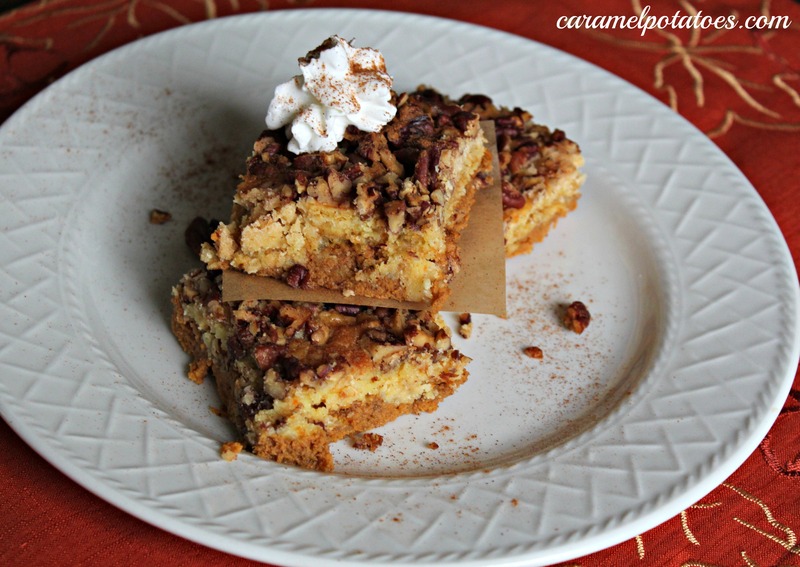 Serve warm or chilled with whipped cream sprinkled with pumpkin pie spice or cinnamon. Store covered in refrigerator.